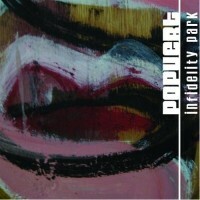 Popvert, once a project… now a band. The second release by this Miami/West Palm Beach/Los Angeles combo features the same original lineup of Brendan, Jolie, Marthin and Pepvert. Additional guest appearances by Rene Alvarez, Rafael Tarrago and Albert Menendez. Popvert originally started as a side/pleasure project for musicians who were each involved in other bands, and soon took shape with a particular sound. Their debut EP, “Drive Thru Happiness,” was released in the US (Eleven:11) and Mexico (Noiselab), and had songs featured in the feature film Elipsis (20th Century Fox).